Keeping a home looking good can be a full-time job and with so many other demands on our time it can be the last thing on the list. This year, take the pain out of managing a house with some high-tech gadgets that are as stylish as they are labour saving. The internet is filled with videos of cats sitting on top of vacuuming robots, while this provides some light lunchtime relief, the star is really the robot cleaner. 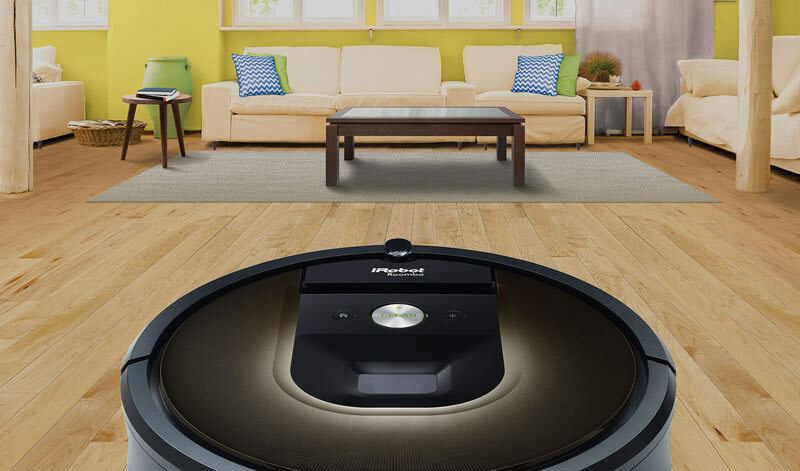 The iRobot Roomba 980 boasts an Aero Force cleaning system and automatic Carpet Boost that allows it to adjust its power supply according to the floor surface. That means that its tech-savvy owner can do something far more interesting while this sleek and stylish robot vacuum cleaner makes the house sparkle. Tech evangelists have long heralded the ‘internet of things’, our home appliances controlled remotely at the touch of a button and even intelligent enough to measure and adjust their usage to our needs. 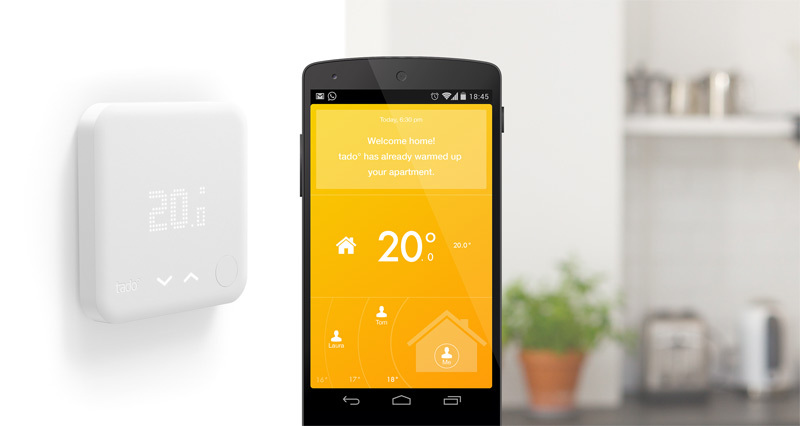 With the Tado, that future is here. This European smartphone app uses the phone’s signal to work out the resident’s location and proximity to home before deciding whether or not to turn the heating and hot water on, giving you one less thing to worry about. iPod inventor and Apple’s whizz kid, Tony Fadell set up Nest to help streamline home appliance management. 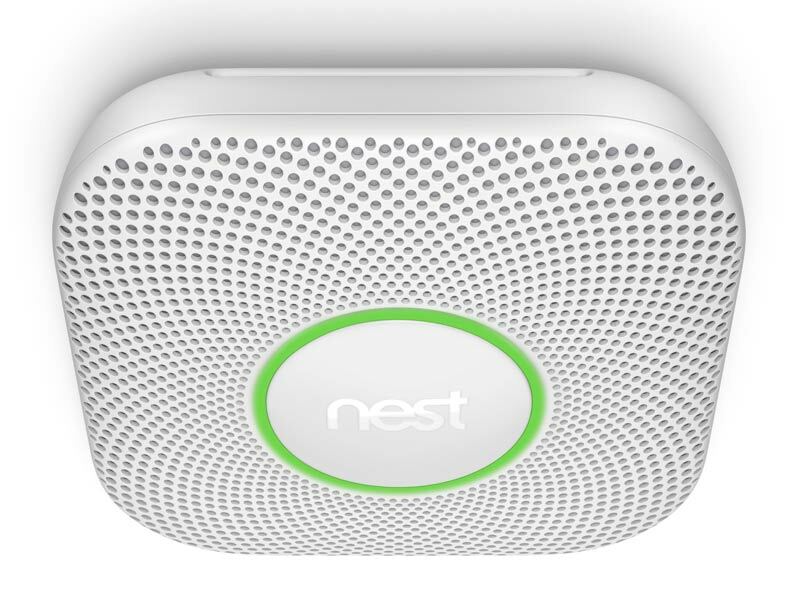 Its latest offering is this intelligent, efficient, beautifully designed (well what do you expect from an ex-Apple visionary) smoke and carbon monoxide sensor. It automatically links to the home’s iPhone, iPad or iPod touch hub, tests itself and has a ten-year lifespan. As if that isn’t enough, it analyses light waves to determine if the fire is fast or slow burning, analyses the air to tell you if, and how much, carbon monoxide is present and doesn’t beep annoyingly when the battery needs changing. All that and it looks good too. You are a coffee perfectionist. This is something to be proud of. 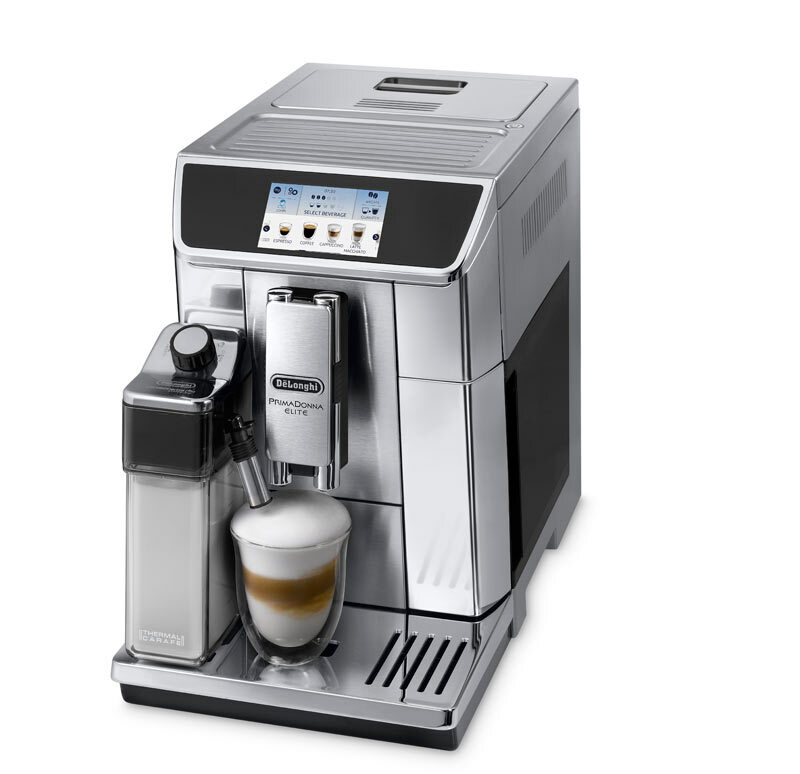 The DeLonghi Primadonna Elite coffee machine will make you what you want, as you want it, exactly when you need it without having to join the coffee shop queue on your way to work. Not only will it lend your kitchen counter a sophisticated air, it also connects via app to your smartphone so your perfect coffee will welcome you home. Every year a new wave of gadgets promise to make our lives faster, easier, better. While many do transform our lives and we couldn’t imagine being without them, the inevitable clutter of chargers and cables can offset their usefulness. No so with the Sanctuary charging station from Bluelounge. 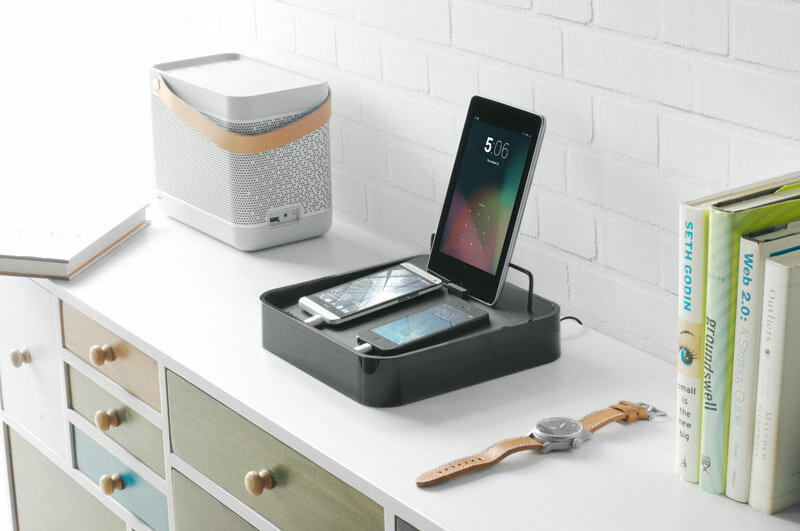 The simple design has one wire, looks good on a nightstand and its tray cleverly conceals the charger cables inside. Problem solved, with style. 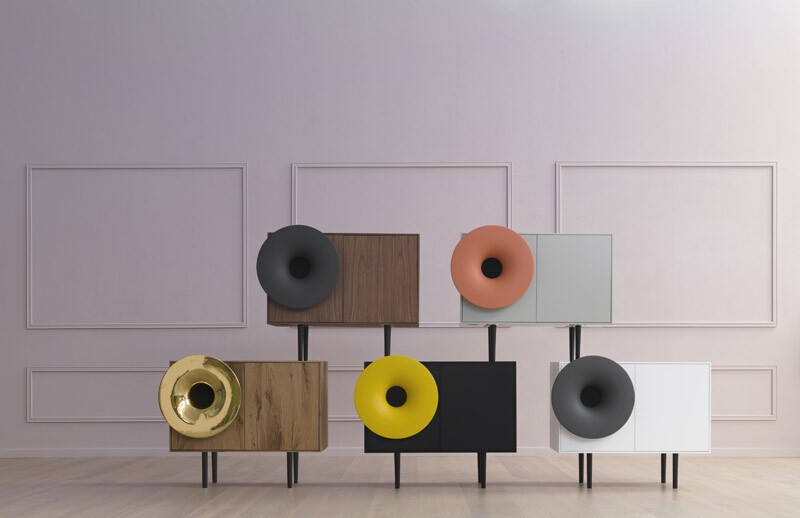 Imagine a gramaphone and a picture of a polished walnut frame supporting a large brass horn will likely pop into your mind. That was the grandfather of this curious, modernist piece. Connecting to any Bluetooth-enabled device, this wireless speaker system offers superior sound quality and a smart focal point in one. Home Technology, every year, promise to improve the way you live. The choice can be overwhelming so the design team has picked of the best of what’s on offer. However, if you would like expert advice on how to build a stylish scheme that complements these cutting-edge products, get in touch today.